Not far from the Cathedral is the busling shuq district, with its stalls of fruits and vegetables, bric-a-brac, spices, chickens and eggs, used furniture, ceramics, souvenirs and clothes. 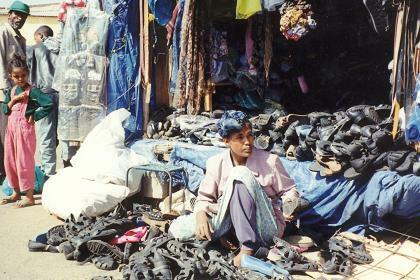 Side by side with the stalls are small workshops and shops. 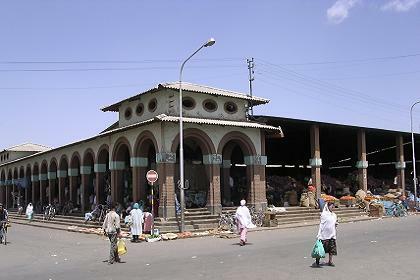 Behind the main mosque of Asmara is the souvenir and household utensils market, where one can can find local handicraft and souvenirs for a nice price. Medeber, located a few hundred meters behind the Nda Mariam Orthodox church is like an open-air workshop where absolutely every available item is used and recycled in a most ingenious way. Small mills are grinding various spices into berbere, a local mix of spices, with chili peppers as the main ingredient. 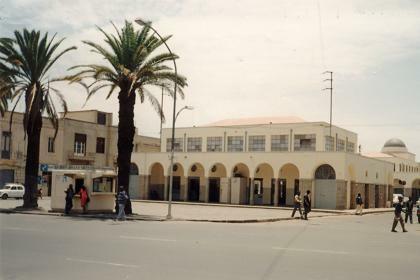 Entrance of the covered market in Asmara. 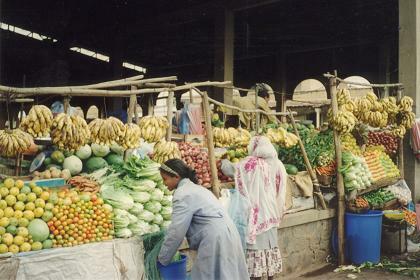 tioned shortage of food in Asmara. We pictured these shortages. Woman selling vegetables and fruits at the covered market. 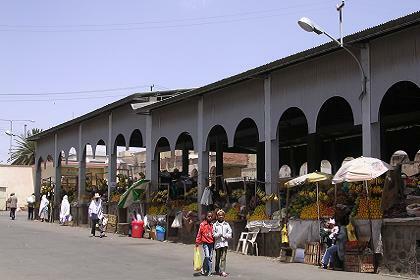 Fish market Harnet Avenue Asmara. 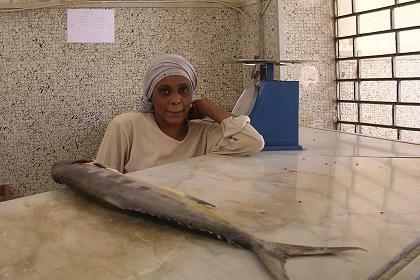 Interior of the fish market of Asmara. 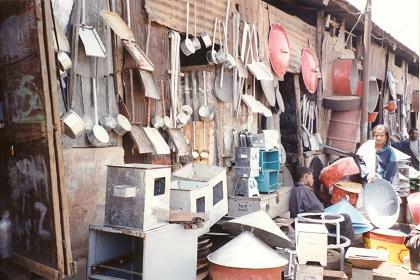 Household utensils at Medeber market Asmera. At Medeber used and new steel is crafted into household utensils. 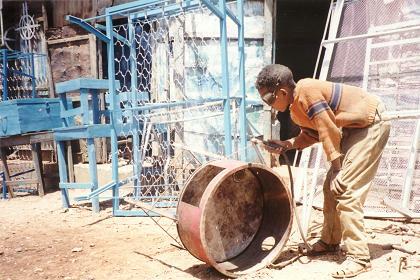 The boy here is welding a small oven, used to bake kicha. 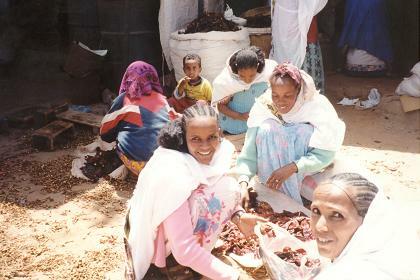 Woman preparing berbere (a hot red peper spice) at Medeber. 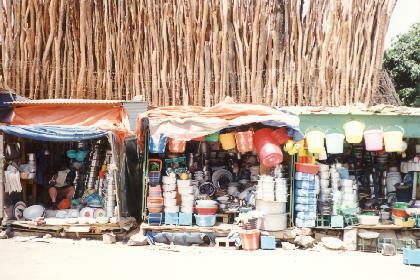 Colourful baskets and pottery sold at Medeber market Asmara. (meaning: Friday market) in the northern part of town.